You might think that this would make it easy to find a good dripping sound effect for my episode. Just enter the keywords “drip” and “ground” into the search engine and choose the best result. Nope! To my dismay, this is very much not the case. The vast majority of these sounds are water dripping into water, like this. [*The sound of water dripping into water at a medium speed plays for a few seconds and then fades out.] Which is a totally different sound than water dripping onto a firm surface like the ground, or even, like, a wet firm surface. I think maybe I found one sound that was water dripping onto linoleum. It definitely was not right. So I kept searching, trying out different key words, listening to lots and lots of sounds. Finally, I came across one sound that was the sound of dripping snow. Now, this specific sound wasn’t right either (I think it had a gutter or a road in the background, something like that), but the snow was dripping onto snow, and that sounded very much like water dripping onto the ground. It was the right type of dripping sound. I have no idea if I’ll ever be able to use it for anything, but I love this sound. Another effect that I had a hard time finding was the sound of a heavy metal gate being locked. This is for the moment where everyone is safely inside the inn and the sturdy iron gate is locked securely behind them, keeping the zombies out. Searching for the sound of medieval technology can be tricky. There are fewer gate locking sounds to start with, and the majority of them are things like wooden gates, gates with padlocks, and modern locking mechanisms that just don’t match the idea of a heavy medieval gate. Often, this sort of search comes down to luck. Is there one person out there who has a specific project that caused them to find or make the specific sound that I need? Or is there one person who loves recording unique, rich sounds that just happened across a sturdy metal gate that is perfect for my project? This recording definitely sounds like it belongs in a horror movie, but it has a nice firm locking sound at the end that is mostly separate from the other sounds, and that is just what I needed. This is why I try not judge sounds based on the title. It is almost always worth while to give them a listen and think about what parts of the sound I could use for something. And some day I will need a really intense, creepy sliding metal gate sound, maybe for something kinda steampunk, like the doors to an underground laboratory, and this will be the that sound I use. Until then, it waits patiently in my sound library. So, one thing that really fascinates me about sound effects is the ability to use one sound for something totally different. This is certainly the case for the gore sound effects that I used for the owlbears eating zombies. It actually all started with me searching through the long list of zombie sounds in the Free Sound database. I was primarily trying to find the right moans and growls for my dwarven and anthropomorphic animal zombies. This took a lot of searching because I wanted the moans to be intimidating, but also I wanted to avoid anything that would be associated with a disability. For example, heavy breathing sounds are often used to make monsters or villains more intimidating. Think about Darth Vader’s iconic ominous breathing. [*Three respirator breaths play. These are very similar to, but not exactly like, Darth Vader’s breathing from the Star Wars movies.] Of course, these sort of breathing sounds are also a normal part of living with certain disabilities. Using these sounds for monsters can be very stigmatizing. So that was definitely something I wanted to avoid. Thus my long delve into zombie sounds. Because I was finding sounds for a whole episode about zombies, I was also interested in checking out what was available and if there were any other interesting sounds people were using for zombies that I could also use. And it turns out that a number of people were making zombie eating sounds. Of course, these are intended to be the sounds of zombies eating corpses, but they would work just as well for owlbears eating zombies. So I grabbed all of these sounds that I could and put them in a folder to sort through later. What is really awesome about these sounds is that the majority of them are fruits and vegetables that are being ripped, torn, and squished. I have no idea why this sound was recorded, but it is delightful. Just for completeness, I want to say that the two sound effects that were in the middle of explanations were “Water, Dripping, Medium” by Inspector J and “combed remix of 48602” by Timbre. All right, so I hope you enjoyed my three sound effect stories. Now it’s time for the updates. So, I want to start by saying that things are still pretty intense for me and I’m definitely having some mental health struggles. I am excited to share that I’ve been finding some new techniques for dealing with things that are really helping and which will help me make long-term changes that will be very healthy for me. As awesome as this is, it is also a lot of work, and a lot of things are happening, mostly good, but some really sad things. Taking care of myself has had to be an important focus for me. It is hard to explain exactly how this focus on self-care has resulted in certain projects getting done, while others are still waiting for their turn, but it has been a lot of following my immediate inspiration and focusing on whatever is flowing well or is most urgent in the moment. This has resulted in a lot of productivity. Many of you probably heard my announcement about the “Making RPG Podcasts Accessible” workshop that I did at PodCon2. Creating this workshop basically took over my January. So what happened is that I found out on January 1st of this year that my workshop had been accepted and was scheduled for January 20th, if I was still up for doing it. Well, I really wanted to do the workshop because I care so much about the role-playing game podcast community and there are currently so many misconceptions and so little knowledge about disability in that community. And, also, a lot of people who are willing to listen and learn, which is really exciting. So I decided to do the workshop even though twenty days is not much time to plan a workshop, especially not for the kind of workshop that I wanted to make. So, I put all of my other projects on hold and jumped into making the workshop. In order to organize my thoughts, I started by writing down a summary of everything I knew about disability and role-playing game podcasts. Starting with the basics, I wrote about what accessibility is, what ableism is, different experiences of disability that are important to understand specifically for representation in role-playing games, how to make a podcast accessible to disabled audience members, techniques for including disabled participants in games, how to deal with game systems that don’t handle disability well, how to create disabled player characters that are respectful representations of disability, and harmful patterns of representation to avoid. This became what is now a thirteen thousand word resource document for the “Making RPG Podcasts Accessible” workshop. So, for a bit of perspective, that’s about one seventh the length of a novel. That’s a lot of words! I’ve put this resource document online in the resources section of the Writing Alchemy website. The process of writing this document helped me realize just how much I know about this topic, which is important because it’s easy for me to fixate on how much I don’t know. Having something this large and concrete to look at definitely helped me fight off that imposter syndrome feeling of not being enough of an expert to do this. Clearly I have enough material to teach a day-long workshop. Even if I don’t know everything that it is possible to know about this subject, I do know a lot—way more than I have time for in a one hour long workshop. And the fact that I don’t have time to cover everything in depth in the workshop is another reason why making this document was so awesome. Having it as a resource I could point people to for more information meant that I could go over certain things more quickly in the workshop. And that was important, because I definitely did not have time to go over everything in detail in a one hour. Writing this document and putting the workshop together were also really meaningful to me because they gave my brain a chance to do what it does best. Which is basically sorting though and analyzing all of my experiences and the information I’ve collected and synthesizing that into ways of explaining things that address a lot of the common misconceptions about disability in role-playing games. This process was really exciting because all of these things that I had been thinking about for a while crystallized into a set of ideas that present a clear way of understanding and explaining why certain representations of disability in role-playing games are problems and how to fix them. And, because I’m so excited about all of these new ideas and I really want to get them out into the world, I’ve decided to take eight sections of the workshop resource document and expand them into articles for my Addressing Ableism Series (which you can find in the resources section of the Writing Alchemy website). I think this is really important because a thirteen thousand word document is a lot to get through, and for a lot of people it is going to be easier to read one article at a time. So far, I’ve published articles on “Ableist Monsters” and “Game Mechanics that Treat Disability as a Limitation.” The next two articles, “Preventing Disabled Characters from Being Left Behind with Game Job Descriptions” and “Knowing When Characters Have Disabilities,” are written, but need a last round of copy editing before I can get them online, so those will be coming out soon. These are the four articles that I was most passionate about getting out into the world right now. Because I have so many other things going on, it will probably be a while before I get back to the other four, but brief versions of them are already online in the workshop resource document. Well, you might be wondering how my workshop actually went, and it did go pretty well. Of course, with all of the stress, I came down with a cold a few days before hand, so certain things weren’t as polished as I wanted them to be, and I’m having feelings about it not being absolutely perfect. At the same time, I recognize that I did a good job and the workshop was well received by the audience members. It is just hard having something I care so much about not be perfect. Not that it was ever going to be perfect, because that’s not how the real world is. I know that. It’s just that part of me thinks that if I do it perfect enough, more people will pay attention and learn about disability and accessibility and ableism, and things will change faster. That’s hard! And the reality is that change is about being there and showing up and putting the message out there. And those people who are ready to listen will listen and if I’m not clear enough, they’ll keep learning and find out more. And those people who aren’t ready aren’t going to listen, no matter how perfectly I say things. I can’t control that. And I’m just going to focus on the people who are ready, because there are a lot of them out there and together we can do amazing things. So, I do have plans for getting the audio of this workshop up in the Writing Alchemy podcast feed sometime in the future, probably after I’ve had a little more time to process my feelings about it. Also, right now I want to prioritize getting more game episodes up. Another thing that came out of doing my Podcon2 workshop is that I’ve started putting some of my personal podcast how-to notes online. 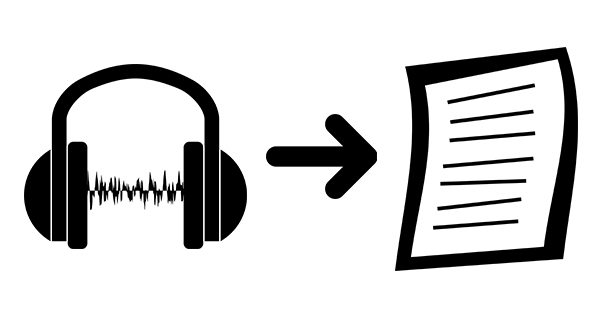 And I’ve made documents on how use free resources, such as YouTube and Otter.ai, to speed up podcast transcription. Basically these resources create computer generated transcripts which can then be edited and corrected, rather than having to do everything from scratch. And, as you might expect, you can find these documents online in the Resources section of the Writing Alchemy website, which has basically doubled in size since PodCon2. And that’s not even everything I’ve added to that section, because some of the conversations I had at PodCon2 made me realize that there is a need for a resource that makes it easier for folks who are looking to hire disability consultants for geeky projects to find disability consultants. So I started the “Disability Consultants for Geeky Projects List” and if you are a person who does disability consulting, whether that is sensitivity reading for specific types of disability, or if you know about handling disability in game design, accessible media production, or event planning, I encourage you to fill out my short form so that I can add you to my list. And if you are thinking about hiring a consultant, I encourage you to check out the list. I’ve already had one person looking to find a consultant with a specific skill set that I was able to refer to the list. So that’s awesome! I am super excited that this tool is already being used and I look forward to expanding it and getting the word out there. And I suppose this would also be a good time to mention that I am now doing geeky disability consulting, which is a bit new and scary for me, but also very exciting because it uses a bunch of skills that I haven’t been using as much in my artistic endeavors, but that my unique brain is quite good at. So that’s all the feelings, but I’m reminding myself that this is something I’m good at. And, oh my gosh, there are so many things happening because one of the places that I’m doing disability consulting is for International Podcast Month 2019. Let me tell you about this awesome thing that is happening! International Podcast Month is a podcast event that takes place in September that is a celebration of podcasting and community. Basically, a bunch of different podcasts come together to release mini episodes, crossover episodes, and blog articles on the International Podcast Month feed and website. Throughout the month of September, something new is released every day, often multiple things. Because it takes a lot of time and effort to get everything together for International Podcast Month, this year there is a team of people working on it and I’m a member of that team. What is so exciting for me personally about International Podcast Month is that it is an inclusive event where the participation of marginalized and underrepresented voices is prioritized. The International Podcast Month Organizational Team is also making an effort to reduce the amount of oppressive language and story patterns in the International Podcast Month episodes. Particularly when it comes to ableist language, this is going to be a big growing area for a lot of people, but I’m excited that we are having these conversations about language, oppression, and community inclusion. Applications for participation in International Podcast Month are open right now and anyone who is a member of an active podcast is welcome to apply. For this, active podcasts include podcasts that are currently releasing episodes, in-between seasons, or otherwise in active production. If you are interested in participating in a podcast or writing a blog article for International Podcast Month, I highly recommend that you check it out and apply. I’ll put links to both the application and information page in the show notes. The application deadline is March 31st, so please be aware that it is coming up fast. And if you want to get involved in International Podcast Month as an audience member, please let all of your favorite podcast creators know about the International Podcast Month applications. Also, there will be an IndieGoGo campaign coming up in late April to help pay for everything. Once the campaign is up, we would very much appreciate your support, both financially and in spreading the word about the campaign. And speaking of podcasting, I’ve actually been working on some long-term things for the Writing Alchemy podcast, including preparations for new Unfamiliar Heroes adventures. I’ve had some incredible inspiration for the next set of games that I’m going to be running and recording. These will be taking place in the Crossroads Setting, which is the same setting as was used in the Owlbear Reintroduction Program game. I have to keep most of this inspiration secret so that it doesn’t spoil the surprises in the game, but there is one thing that I’m really excited about that I can share with you. It is called the Other Realm. The Other Realm is a location in the Crossroads Setting that takes a lot of inspiration from the mythology around fairies, the fey, and the fairy realm. [In narrator voice] Difficult to enter and even more difficult to leave, the Other Realm is surreal, tempting, beautiful, and dangerous. It is a fragment of the First Creation that is separate from the world of Crossroads. As a consequence, it is also separate from the laws of the gods. Instead, the Other Realm is shaped by the will of its three enigmatic rulers and their Three Laws: the Law of Life, the Law of Increase, and the Law of Bargains. Because many of my writings about the mythology of Crossroads and the Other Realm are written in the style of a fairy tale, I’m going to record them as my next Bonus Cast so that I can share them with you. So that is all of the good stuff that I’ve been working on. The final thing that I’ve been doing has been a lot less fun. So, at the end of February the Writing Alchemy website got hacked. This was rough for me, especially considering everything that is already going on in my life, but I am super proud of how I handled this. I stayed confident in my ability to deal with things and I got through it. It took many days of technical support and working through a bunch of different options and issues, but in the end I got the Writing Alchemy dot net website moved to a new web host that is a bit more expensive, but has way better security and technical support. One of the things that made this move possible is the support of my patrons at Patreon. Thanks to your generosity I now have a much better web host that will make the Writing Alchemy website safer and more reliable for everyone. Thank you! Unfortunately, because of the messy nature of this move, there were some disruptions to the website and podcast feed. Happily, these are over now and from here on out the website should be stable and secure, which is something I am excited about. And that is what I’ve been doing for the past two months. It’s a lot and all this productivity in writing and making resources and fixing the website and being part of the International Podcast Month team, along with everything else, has caused a pause on podcast updates. This is not how I wanted it to be, but I’ve needed to focus on things that are immediate and those things that directly boost my mental health. Happily, things are getting better and I’m progressing through my very long to do list. Because the website move was so stressful, I’m going to be spending a week finishing up my writings about the mythology of Crossroads and the Other Realm, and also recording it as audio and getting it online for everyone to enjoy. Once that is done, I am going to spend a week finishing up a bunch of small projects, then it is on to finishing the final episode of the Owlbear Reintroduction Program game. After that, I’ll spend a bit more time finishing up the new version of my Magic Goes Awry game system. And from there I’ll be alternating working on podcast episodes and longer term projects. Hopefully the pace of podcast episode production will slowly get back to something more regular. So that’s the plan! I’m hoping that things will go smoothly, because I really want to get back to more regular podcast updates. There are so many exciting things I’m working on and I can’t wait to get them finished and share them with you. I really hope that you’re excited about the things I’m doing. I’m working so hard to bring more awareness of disability and accessibility to the role-playing game community and the podcast community. Thank you all so much for your patience and support during this time. So much is going on, some of it exciting, some of it difficult, and it’s a lot. I really appreciate your support and kind words. Thank you for being an awesome community! And thank you for listening! I look forward to talking with you again soon.